If you or your child has been diagnosed with ADHD, or some other attention disorder, you know it can be a nightmare. Of course, you don’t have to secure a diagnosis to struggle with focus or hyper-activity. From time to time, everyone gets antsy and hyperactive. Often the case is we seek traditional medication to treat any kind of ADHD-type symptom. And while medical attention is sometimes necessary (we always recommend consulting with a physician if you have serious concerns), natural alternatives like Young Living essential oils can oftentimes do the trick. In this article, we’ll outline the top five Young Living single oils and blends to improve focus and concentration. And after you finish reading, browse our lava stone diffuser jewelry to diffuse your Young Living oils while you’re out and about and all day long. Let’s assume your child is dealing with ADHD or attention problems, and as a result their education is suffering. Try diffusing some essential oils while they are working on their homework. Or send them to school with an inhaler and some Young Living calming or focus oils. Let’s assume you are having a difficult time staying on task at work. Apply a couple drops of oil or diffuse a few drops in your office space. Either way, by choosing the right essential oils, you can improve your focus, memory, and attention in a 100% healthy and natural way. 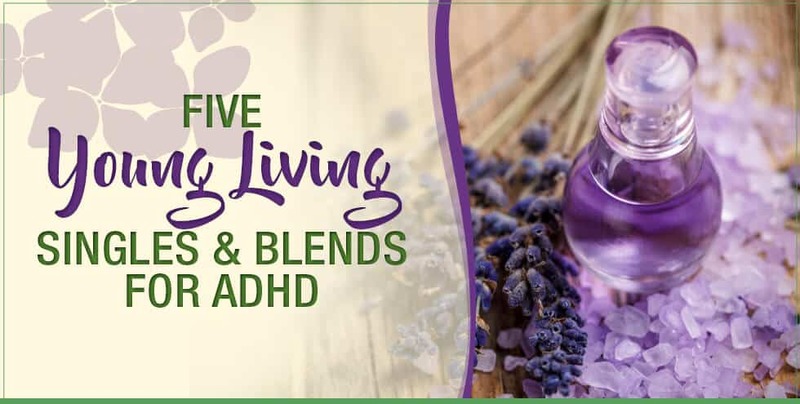 So without further adieu, here are the top 5 Young Living singles and blends for ADHD and focus deficiencies. First on the list is lavender. If you’re a veteran aromatherapy user, you know lavender is one of the most versatile essential oils available. In addition to fighting symptoms like pain and depression, lavender is the ultimate nemesis of a hyperactive mind. It’s calming properties help absorb serotonin and noradrenaline, which are hormones in the brain that control mood and brain health. Researchers have actually concluded that lavender aromatherapy boosts beta wave levels in the brain, helping the mind to increase receptivity of information. Vetiver is a “sedative oil” that is composed of nervine and tonic characteristics. Consequently, it nourishes the nervous system resulting in a tune up that gets the synapses firing – and ultimately, boosting focus and concentration. If you or your child is dealing with more intense attention problems vetiver might be your most effective single oil. It is also great for sleep issues. Used by ancient civilizations for thousands of years (remember, it’s one of the gifts the three wise man brought), frankincense can help immensely in fighting ADHD symptoms. Many people find it helpful when dealing with social anxiety. Additionally, it helps center the mind and body making it an excellent additive for spiritual prayer and meditation. Brain Power is one of Young Living’s specially crafted blends that is designed to promote clarity of the mind. The blend contains sandalwood, cedarwood, melissa, frankincense, Blue cypress, lavender, and helichrysum. The blend of oils contain a high concentration of sesquiterpenes, which help promote healthy brain function. Peace & Calming is a flagship Young Living oil, as its gentle, sweet blend can help with focus and relaxation. Its fresh, comforting aroma contains orange, ylang ylang, patchouli, tangerine, and blue tansy. You will find that children are often drawn to this oil, as it combines citrus oils like orange and tangerine – common flavors in soda, juice, and candy.